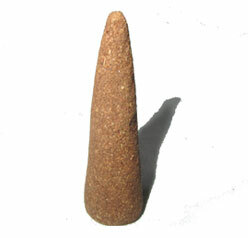 This is a product of herbal incense, handmade and natural, each of which are cone shaped. It is entirely prepared through the combination of finest herbs which are neither ploughed nor destroyed. Rather they are seasonal herbs which fade away after the end of each season, and so are utilized as input elements. These days many incense products are based on bamboo stick. Huge amount of bamboo trees has to be destroyed for the production of stick incense. Considering this, we use pure natural herbs as ingredients without the mixture of any substance like bamboo stick and paper rope. Thus, our product is eco friendly which does not degrade environment by any means. It is formulated from numerous fragrant species, herbs, aromatic leaves, flowers and others medicinal plants found in high altitude of Nepal. They are collected and carefully blended to obtain a perfect aroma. As a result, the fragrance is healthy, chemical free and completely non-toxic. 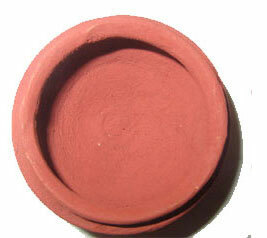 Incense is generally utilized to add great aroma impersonal and living space. So, this aromatic incense can be used to refresh the living environment. The significance of our incense is not just limited as an air freshener. Its fragrance enhances mind, spirituality, creativity, concentration, reduces anxiety and aids in healing, meditation or relaxation. It can also be used to perform rituals. The powerful fragrance relaxes our senses and brings positive energy to our soul. The cones are handmade. 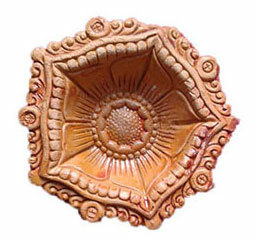 An incense burner made up of clay is provided where the cone has to be placed and burned. 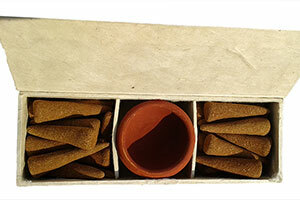 The incense is provided in a spectacular handicraft package covered by Banana Paper enriched by quartz crystals. The incense box is the work of pure handicraft. Its structure is made up of hard paper and is covered by beautiful banana paper. The box is enriched by clean quartz crystals and looks spectacular. Each package contains two quartz crystals, so if you buy numerous boxes over time, you can also make bracelet and necklace out of those crystals. It is a complete package crafted by hand. 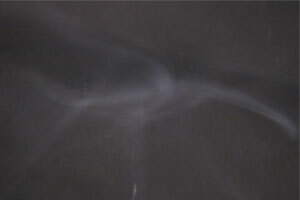 It is hard & safe and does not let air moisture ruin incenses. 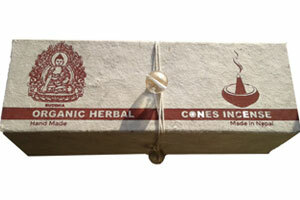 Cone Incense made from blend of aromatic leaves, flowers, fruits, minerals, roots and medicinal species. It is hand prepared. It does not contain any foreign materials as found in stick and rope incense. As a result, it burs properly and emits pure herbal fragrance because no foreign substance gets burnt. 1)	First all the seasonal herbal plants, their fruits, leaves and roots are collected carefully. 2)	Then they are dried, crushed and grinded to make fine powder separately. 3)	Then according to formula, particular powders are mixed properly. After they are mixed, the mixture is left untouched so that it can settle nicely. 4)	Then, after adding water and some herbal substance, it is transformed into paste. 5)	The paste is then converted into a cone shape by hand. 6)	Those paste cones are then dried. 7)	After they dry perfectly, some samples pieces are taken and burned as a sample test. 8)	Then the cones are safely packed in special handcrafted box of banana paper. The incense box is the work of pure handicraft. Its structure is made up of hard paper and is covered by beautiful banana paper. The box is enriched by clean quartz crystals and looks spectacular. It is a complete package prepared by hand. It is hard & safe and does not let air moisture ruin incense. The fragrance has a soothing action which relaxes our sense, helps in emotion purification, and is completely safe for inhalation. It is a product of herbal plants and medicinal plants only. So, its fragrance is beneficial. 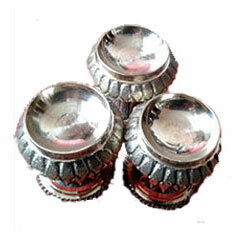 It enhances spirituality, creativity and is perfect for meditation & ritual purposes. 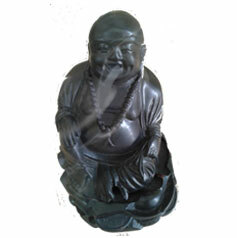 Our fragrance is also essential for incense therapy and rich yoga environment. Also, it is beneficial to those people willing to end their various drug addictions. © Copyright 2018 Himalayan Herbal Incense. All Right Reserved.